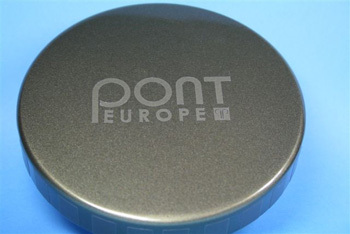 Pont Europe, the leading pan European distributor of glass bottles and jars, plastic bottles and jars together with associated closures and accessories has launched a new collection of glossy caps that are simple, stylish and (most impressivley) cost effective. Available since May 2010, these eye-catching new caps not only give producers the added opportunity to capture their customers’ attention but logos can also be embedded into the cap to build brand exposure. Currently manufactured in 100mm and 120mm sizes and with different seals (PS22 and IHS), these caps complement the new glossy Polypacker range perfectly by increasing visual impact to consumers at the point of sale. Several standard colours are available from stock, though any colour is possible depending on demand. A variety of ribbed sides improve grip, both for product manufacturers and also for consumers when opening and closing containers. Production will be based in Europe for quality assurance and quicker delivery. This entry was posted in Pharma Pet Bottles and tagged elegant. Bookmark the permalink.